Winnie Akara is a diligent, versatile and self-motivated individual who is research oriented and has an eagerness to learn and share what she learns. She is a B.Sc graduate from the University of Botswana with knowledge and experience in Insect Farming, Microbiology and Molecular Biology. She is passionate about environmental conservation and the prospect of insect farming for feeding purposes. 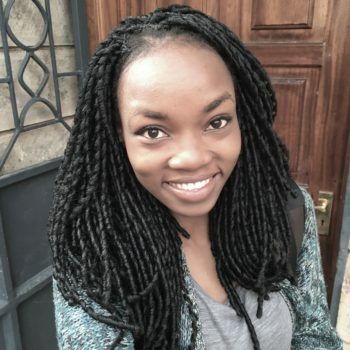 Currently she is a part time tutor with a local NGO based in Kibera, Nairobi’s largest slum. She specializes in teaching children the magnificence behind Biology, Chemistry and Physics; and how these subjects though largely theoretical to students, could be put to practice in rehabilitating the environment and in the long run benefit their livelihoods. Winnie enjoys working with children since she believes that although they are different, they must be awarded equal opportunities for them to equally strive and grow into independent thinkers. Winnie is looking to develop her leadership and problem solving skills through the Social Innovation Management program, with the aim of ultimately creating positive improvement in the quality of life for the less fortunate.